This item is sold as a piece of 6 pieces. 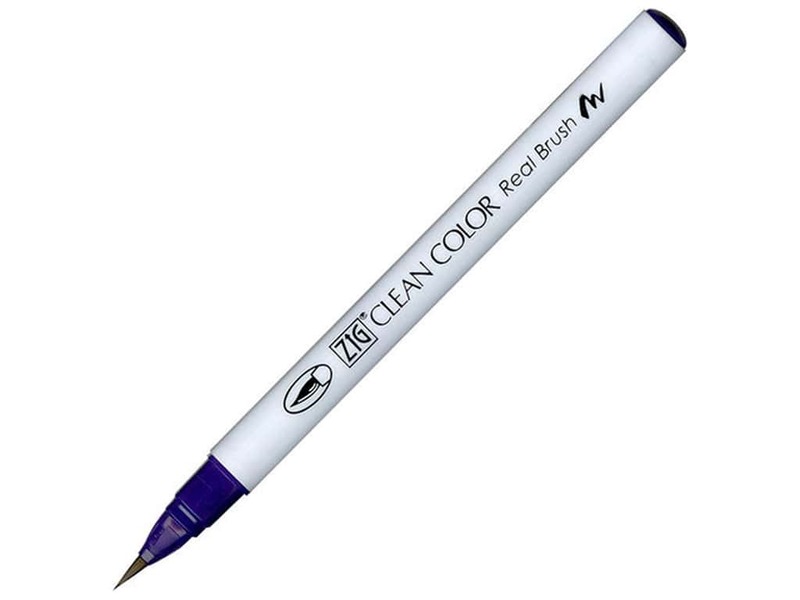 Description: Zig Clean Color Real Brush Pens are unlike many "brush" pens, these markers have a genuine bristle tip that lets you create marks of any width, from broad strokes to fine lines. Filled with a water-based dye that is odorless and xylene-free, these pens are easy to blend. Both portable and versatile, they're great for plein air work, quick illustrating, sketching, designing, manga and cartooning. #084 Deep Violet. See more Zig Clean Color Real Brush Markers.